FIRST CIRCULAR: Announcement and pre-registration. The molecular region of Nanoscience is still a region that has been scarcely explored in Nanoscience, maybe because the larger structural and electronic complexity of molecules, compared with that found in simpler atom-based nano-objects and nanostructures, make them more difficult to study at the nanoscale with the currently available instrumental techniques. Albeit, it is in this molecular region where molecular chemists, biologists, physicists and engineers working in Nanoscience may find the best opportunities to interact and to converge. Areas like supramolecular chemistry, molecular electronics and molecular magnetism are expected to converge in this region. The eleventh European School on Molecular Nanoscience (ESMolNa2018) intends to provide a suitable framework to show and extensively discuss the state-of-the-art in these multidisciplinary areas. Lectures are aimed at the post-graduate level as they will be presented to an audience primarily formed by post-graduate, PhD students and postdoctoral fellows. In fact, the School will be the last part of an intensive Advanced Course of three weeks organized in the frame of a European Master in Molecular Nanoscience. This meeting also intends to be a forum where the active European scientific groups working in these areas will have the opportunity to meet and informally discuss with the younger generations. This training school is organized by the Instituto de Ciencia Molecular (ICMol) of the Universitat de València, the Universidad de La Laguna and the COST Action MOLSPIN: Molecular Spintronics (Action Number: CA15128). The sixth Workshop on 2D Materials (W2DM2018) will take place on May 24th and 25th, having the first day a joint program with ESMolNa2018. 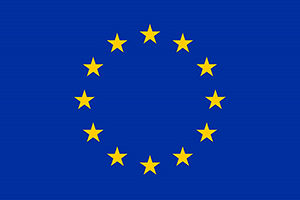 Graphene and other two-dimensional (2D) materials represent one of the priority areas of the Horizon 2020 program of the European Commission, as shown by the 'Graphene flagship'. 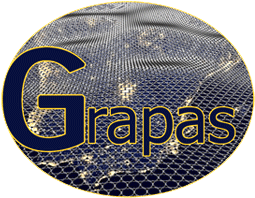 Due to the exceptional mechanical and electronic properties of graphene, research about this material has been at the forefront of this area during the last years. However, since graphene is not a semiconductor, its electronic applications are limited. For that reason, other 2D materials, like metal dichalcogenides or layered coordination compounds, are starting to be studied. In these materials a wide range of properties can be insulated, including superconductivity and magnetism. The research community exploring graphene and other 2D materials is increasing recently, due to the incorporation of researchers from a variety of fields like materials science, physics, chemistry and electronic engineering. Moreover, there is a big interest in the construction of functional devices based on 2D materials, including their integration with graphene. During the W2DM2017 collaboration among participant researchers will be promoted, in order to face the huge scientific challenges encountered in this field, both from an experimental and theoretical point of view. On Friday 25th, after ESMolNa2018, the Working Group 3 Workshop of the COST action CA15128 on Molecular Spintronics (MOLSPIN) will take place. Please refer also to COST MolSpin website for further information. The talks will be held at the 'Be Live Experience Playa la Arena' in Puerto Santiago (Tenerife, Spain) where attendants will be also hosted. General_lectures (50 min+ 10 min discussion): This part will deal with the essential aspects of Molecular Nanoscience on the topics i) Supramolecular Chemistry in Nanoscience; ii) Concepts, materials and applications of Molecular Electronics; iii) Single-Molecule Electronics; iv) Molecular Nanomagnetism; v) Molecule-based Spintronics. Specialized_lectures (25 min + 5 min discussion): In this part, short tutorial lectures showing some relevant scientific advances in the above topics will be presented by the most representative European research groups active in Molecular Nanoscience. Oral_communications (10-min communications): With the aim of encouraging discussion and communication among all the participants, the students will have the opportunity to present short communications about their research results, including those that, although incomplete, can promote debate. General properties of bidimensional laminar materials. Preparation of bidimensional materials atomic layers by exfoliation. Structural, mechanical and optical characterization of 2D materials. Electronic band structure, theoretical model of transport in 2D crystals. New chemical and physical properties of bidimensional materials. Applications of electronic devices based in bidimensional materials in energy, optoelectronics, flexible electronics, catalysis, etc. The ESMolNa2018 will be opened on Sunday May 20th in the afternoon (at 16:00) and it will finish on Thursday May 24th in the evening (departure date May 25th after breakfast). On Friday 25th from 9:00 till 13:00 in the morning will take place the last session of the W2DM2018. On Friday 25th from 9:00 until 19:00 will take place the COST MolSpin Working Group 3 Workshop on "Molecular spins for quantum technologies". Please visit the COST MolSpin website for further information. - 475€ for regular students. - 400€ for students of the Master in Molecular Nanoscience and Nanotechnology. - 400€ for students who are member of the Specialized Group on Nanoscience and Molecular Materials of the Spanish Royal Societies of Chemistry and Physics (membership fee is 39€/year). The fee for an extra night is 95€/night in double room all-inclusive. PRE-registration: March 15th 2018, or until sold out. Final Registration: April 12th, 2018, or until sold out.